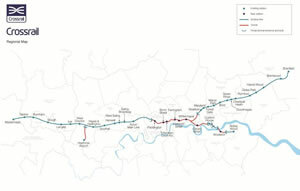 Crossrail is the biggest engineering project in Europe, which is a large rail building exercise, constructing a metro style rail network across the city of London. 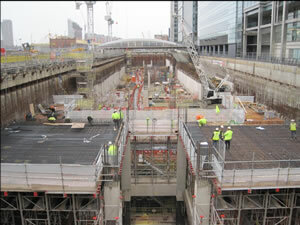 The main civil engineering construction works for crossrail are well underway and are scheduled to complete in 2017, with the fit out of stations and testing of the lines continuing, the central section is due to be in service by late 2018, with the remaining scheduled to come into operation over the following months. 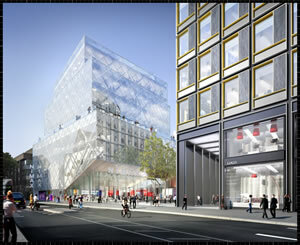 The total cost of the crossrail project is £15.9bn. However, the benefit of crossrail to the UK economy is calculated to be in the region of £42bn, with a tax boost of £17bn for the Treasury. Each train on this line will be 200 metres long and will be able to accommodate 1500 passengers. An estimated 200 million passengers will travel on crossrail each year, and the route will provide a 10% increase to rail capacity in London. It will also help to create 30,000 high value jobs which would not otherwise exist. The crossrail will consist of 37 stations, with 8 new sub-surface stations, this will link Heathrow, the West End, the City and Docklands, which will greatly improve on existing journey times, being a massive advantage for those who commute into London for work. 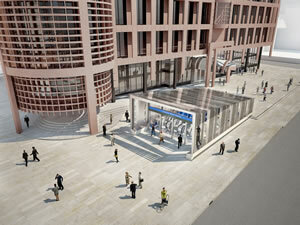 There are 21kms of new tunnels that are being constructed beneath central London. The tunnel boring machines will weave their way between existing underground tube lines, sewers, utilities, and building foundations at depths of up to 40 metres, to create the tunnels required to deliver the new railway. The 8 new stations have been designed to cope with the large number of passengers throughout their life (planning on them existing at least 100 years). The stations have been designed to be easy to navigate through and endure wear and tear. This has all been put in to the hands of the UK's best architects, who have been working with world class engineering firms. The results are stunning, taking inspiration from the past and the local area and incorporating a fresh, modern twist, the new stations are surely very inspiring. Where does Armorgard fit in? 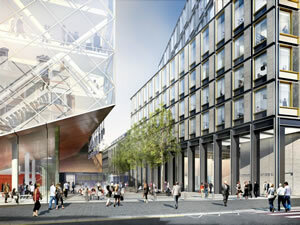 We have begun by providing a variety of different products to the crossrail project via our trusted network of dealers. Storage of hazardous goods has been a familiar requirement, which has been solved through the Armorgard DrumStor and FlamStor. Not forgetting the regular demand for secure storage of tools and other expensive equipment. The TuffBank has been proven to fulfil this requirement, being an excellent, and value for money solution, and with many other security and efficiency benefits, the Armorgard TuffBank is for those who really care for their equipment! Armorgard have also been supplying the UK's leading hire companies, who are key partners for the contractors on site, ensuring that Crossrail is a success, and delivered on time. 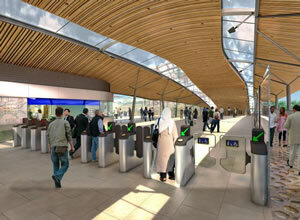 Maybe you would like to supply the Crossrail project with some of our products? Give us a call 023 9238 0280.